Hello everyone, I just want to share a press release issued by my company, ScreenBox, on our latest development at MIPTV2011. 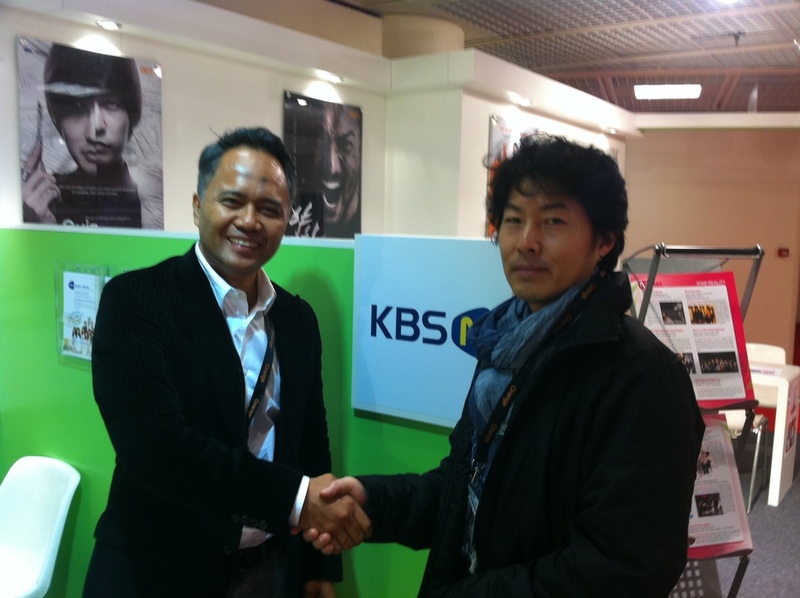 ScreenBox is pleased to announce that it has signed an MOU with Korean Broadcasting System N (KBS N) for a co-production of a youth documentary called ‘MY HIDDEN TWEETS’. The MOU was signed on 7 April at MIPTV (Palais des Festivals – Cannes) between Mr. Lee Ki Weon, Executive Managing Director of KBS N and Mr. Sujimy Mohamad, Managing Director of ScreenBox Pte Ltd (Singapore). This is the first time both parties are co-producing a TV program together. The MOU covers the possibility of co-investing and co-financing of the TV program of this international subject. This 8 parter documentary (1 hour each) will be telecast in channels of KBS N and MediaCorp’s OTT Interactive Media Service. My Hidden Tweets is an original non-scripted documentary conceptualised by ScreenBox Pte Ltd.
“We are delighted that KBS N finds My Hidden Tweets appealing to the Korean audience and the international viewers as well. We hope this will be the beginning of many more co-productions to come.”, said Mr. Sujimy Mohamad. KBS N is a subsidiary company of Korean Broadcasting System (KBS). It is a Multiple Program Provider operating four channels including KBS N sports, KBS drama, KBS joy and KBS prime.